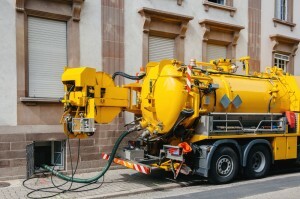 After 60-plus years in the vacuum truck business Waters Vacuum Truck Service knows the importance of complying with city and county codes and we understand their complexity. We have a vast knowledge of multiple city and county codes for the Truckee Meadows and eastern California. We are able to help any commercial business maintain their regulations and keep their operations running smoothly without interruption. We provide installation and maintenance of Grease Traps and Interceptors for commercial businesses. We pride ourselves on keeping flexible maintenance schedules that ensure compliance with city and county regulations to help avoid costly back-ups and/or fines. Our goal is keep our customers from shutting down any portion of their building that would halt operations, and we strive to keep them on schedule while removing the hassle of maintaining Grease Traps and Interceptors.